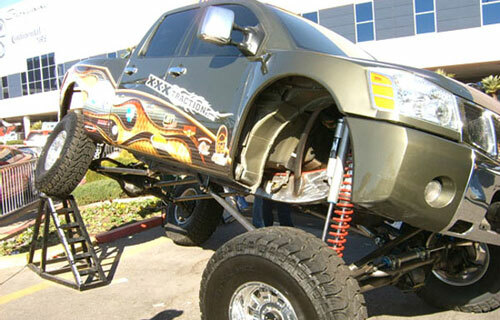 Budget Muffler Brake & Automotive is San Diego's best choice for brake repair and replacement. We've been providing cost-effective brake services to San Diego since 1941, which makes us one of the longest-running automotive car repair shops in the area. Our ASE-certified technicians have performed thousands of brake jobs for nearly every type of braking system and can be trusted to provide reliable brake inspections, repairs, parts replacements, drum/rotor resurfacing, and fluid flushes. We regularly work on two-wheel, four-wheel, and all-wheel drive vehicles, both foreign and domestic, and offer our expert brake services at prices that are typically lower than those of the average shop and national chains. When you come in for a brake inspection, we will use the latest diagnostic equipment and best practices to thoroughly inspect your braking system, including pads, fluids, rotors, hydraulic braking systems, and other components -- all in order to identify problems before they become more expensive and/or dangerous. Our techs can even take precise measurements of brake pads and shoes to evaluate how much additional wear they can withstand. If we think you can safely get additional miles out of your brakes and pads, we'll let you know and provide you with a schedule for when they should be checked next. However, if we do recommend a brake service, you can trust that we're doing so for your safety as well as the long-term performance of your vehicle. Before we begin any work, we'll present you with an upfront estimate for the complete job and let you choose from OEM or brand-name parts. We carry Posi-Quiet, Bendix, Wagner, Brake Stop, Duralast, and Raybestos. Budget Muffler Brake & Automotive is also your best source for braking system upgrades and customizations. We offer slotted and drilled rotors for cooler-running brakes, faster stopping, enhanced performance, and a unique, modern appearance. We can even paint calipers for those wanting a vibrant racing look. Whether you want to replace a stock braking system with a high-performance one, or you're experiencing a low or pulsating brake pedal, grinding sounds, or poor stopping, you can always come to Budget Muffler Brake & Automotive for premium-quality brake repair and replacement services, excellent customer care, and affordable prices. Call today to schedule an appointment or simply walk-in between 8am and 5pm, Monday through Friday, or 8am and 4pm on Saturdays. Guys are pretty respectful and cool. Came in for alignment and ended up buying schocks from them. They do a inspection and told me I had original shocks and my odometer is at 170k ouch. They quoted me $350 for Monroe including installation. Can't go wrong I here.